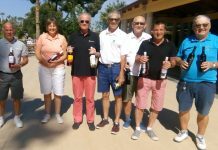 On Friday 18th August Montgo Golf Society played a stableford competition at Oliva Nova for the Middleton Trophy, kindly sponsored by Roy and Jan Jones. 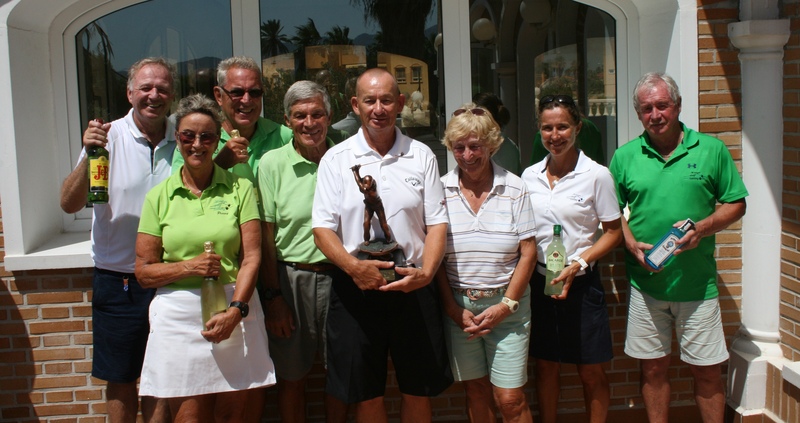 The trophy was donated to the society by Barry and Tracey Middleton when they returned to the UK in 2009, before being adopted by Roy and Jan a couple of years ago. 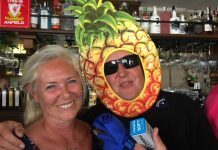 As usual they provided a lovely prize table on the day, although Roy did try to get away with giving Penny Barden just half a bottle of mojito for her nearest the pin prize, claiming it must have not broken on the way to the course! 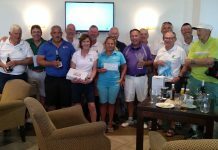 Despite the heat we had a good field of 31 members contesting this popular event, although it has to be said some members coped with the humid conditions better than others as less than half the field managed to break thirty points. 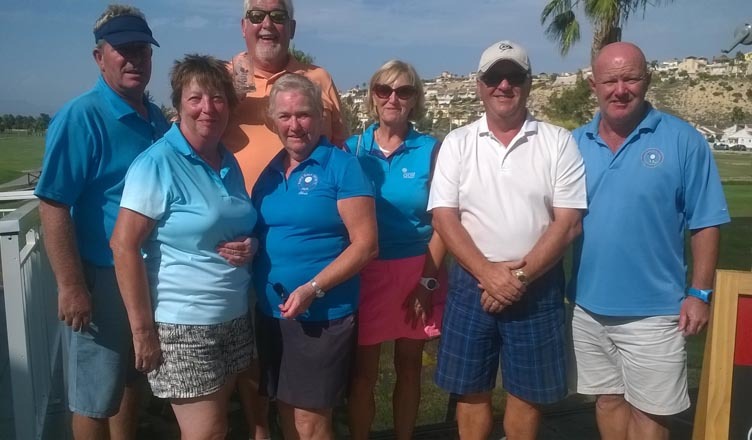 The heat did not however seem to bother our winners, who returned impressive scores in the testing conditions. 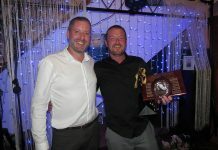 In first place with an excellent 39 points off 12.6 which included a gross 39 on the front nine, was a resurgent Geoff Willcock. 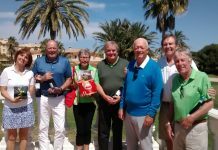 In second place, reviving his early season form, was John Snelling with a fine 37 points off 10, in the process returning his handicap to single figures. 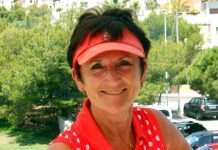 Third place went to Ed Wallace scoring 35 points also off 10, with the unlucky Stella Fox missing out on countback. 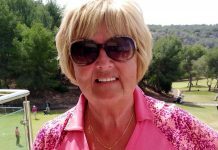 There were five nearest the pins on offer, with Sally Cottrell taking the 3rd, Ed Wallace the 11th, and Penny Barden the 16th ,a great shot to just 2.80 mtrs from the pin which must have deserved more than half a bottle Nearest the pin with the second shot on the 5th went to Brian Barden, however shot of the day was by Graham Borley on the 18th, who holed his second shot for an excellent eagle to take the final nearest the pin prize. You can’t get any nearer than that!!!! 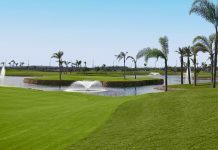 Our next event is on Friday 1st September, when we will be playing a medal competition for the Rose Bowl Trophy, sponsored by Oliva Nova professional Paul Tolley. 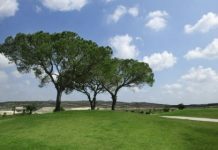 Guests are welcome, subject to availability and a current handicap certificate, and should register by visiting the website at www.montgogolfsociety.net, and completing an online booking form.